The Internet has matured to a point where it has become the site of a rapidly growing economy for women entrepreneurs and creatives. For reasons ranging from wanderlust to a desire to spend more intensive time with their children, many women see location independent sources of income as the Holy Grail. More and more women, freed from a single location career, are setting out on a long fantasized solo tour of the world, or begin unschooling their kids on a schedule that allows for them to skip to hemispheres where the weather matches their constitution. But once they remain in a foreign place long enough, there are inevitable existential quandaries about where and how to belong. 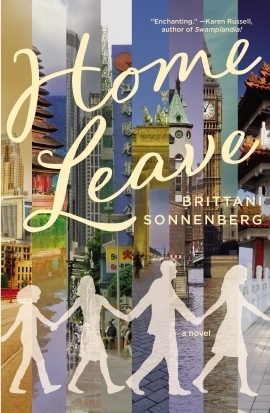 Author Brittani Sonnenberg has received high acclaim globally, including The New York Times Books Editors' Choice, for her new novel Home Leave. In it she masterfully narrates the layers of stories, anxieties, and familiarities that seep in and out of the heads of women and their family members who embody this itinerant lifestyle. She allows us to deeply speculate on the best and worst case scenario of leaping beyond the familiar. Then she sets us up for finding the familiar in anonymity. She herself was raised, with American parents, between Hamburg, London, Atlanta, Minneapolis, Shanghai, and Singapore. I sat down with Brittani after the local launch of Home Leave at the Soho House Berlin. We discussed the practical and emotional journey of a translocal life as an international writer. CG: What are the biggest challenges and rewards of living outside your "home" culture? BS: The biggest challenge of living outside your home country is the loneliness of being an outsider, feeling like you don't quite belong. The biggest reward of living outside your country is the other side of that coin: the thrill of being an outsider, discovering a new culture, and new aspects of yourself in your new surroundings. CG: How does your time overseas reflect itself in your work? BS: Relatively little of my work is set in the United States. And when it is set in the US, it often involves characters who are struggling in some way with dislocation, whether they are immigrants, or recently returned expatriates, or locals who feel out of place in their hometowns. For example, "Hong Kong Buffet," a story that was recently published by Readux Books, takes place at a Chinese restaurant in Mississippi, with four characters from China and the Philippines, in addition to a few local Mississippians. My novel, Home Leave is set in ten different countries. I wrote it as a way to try to understand my experiences at home and abroad, sometimes years after I had left a location. Writing fiction set overseas is a cheater's way to travel; whenever you miss a place, you can just sit down at your desk and return to it in a story. CG: How do you deal with nostalgia and "homesickness"? BS: Writing has always been an excellent way for me to reconnect to the places I deeply miss. Even if you're not a writer, per se, keeping a journal is a great place to write about these aches. Ignoring them rarely works. I also keep in close touch with friends from all over the world. This has become increasingly important for me over the years--I used to think that I was someone who didn't need to keep in touch, that friends in my current home were all I needed. But as alluring as reinvention in a new location can be, nothing competes with the feeling of being known. I Skype and email regularly with friends and family "back home" and that helps me to stay grounded and to vent about frustrations on tough days. Annual or bi-annual trips to the US, for readings or for a residency, also help to maintain a presence in the "home" country. CG: Do you feel that you're still "yourself" with each move? BS: I do. Of course, in the growing pains of adjusting to a place, things feel "off" for a while, but I have found that three years is usually the watershed moment. In Berlin, it took those three years to make good friends, speak the language decently, and to gain the feeling that I, too, was becoming a "local": that I knew where to find delicious pastries and hidden lakes. But I also feel very much "myself" in transit mode. I can get an oddly exalted, nearly patriotic sensation in an airport, because it feels like such a dedicated space of placelessness. CG: What perspective has moving so much provided you with? BS: I think moving has taught me to listen and watch well. I have a good instinct for blending in, hanging back, and observing. This has served me as a writer, too. John le Carre says that writers and spies have similar qualities, and I suppose you could throw chronic travelers into that equation, too. I would like to believe that I am more open-minded from my travels, but it's also true that after so much moving I tend to gravitate towards people I like very quickly, making snap assumptions about who they are. I think that I've learned to quickly identify, in a stranger, the blend of humor, curiosity, and gravity that I look for in a friend. CG: How do you know when it is time to go? BS: I don't. But I suppose it's like anticipating any transition: trying to weigh frustrations alongside joys, trying to make sure you're not running away from yourself by heading to a new locale. CG: What does it mean to create on the periphery instead of in the center? BS: It's an odd thing for a writer to live outside their mother tongue. But I suppose I enjoy Berlin's distance from somewhere like New York because I feel I am less caught up in the pressures of the writing world and able to hear my own voice better, if that makes sense. When I played basketball, I liked being the shooting guard, someone who roved around on the court and could play without being pinned to the specific roles required of point guards, forwards, and centers. I think there's something similar that emerges in creating from the periphery. On the other hand, Berlin truly is a cultural center in Germany and Europe, so I don't feel entirely "on the periphery." This feeling of being at the center, in another country, has also been helped by having my novel translated into German, and participating in German literary culture with my translated novel. I still have a long way to go (and a lot of German novels to read) before I feel at ease in this world. But Germans deeply value literature, and it's wonderful to live in a place that devotes so many resources to promoting art of all kinds. Brittani Sonnenberg is a writer based in Berlin, Germany. You can follow her here on Twitter and read more about her recent novel, Home Leave, on her website. Camalo Gaskin is founder of BIRTHtoBIRTH.com a platform for curated resources, courses and thought on birth, mobility and the importance of being wild. She is launching a contemporary experience for birth preparation, an online course focused on supporting women wherever their lifestyle leads them. 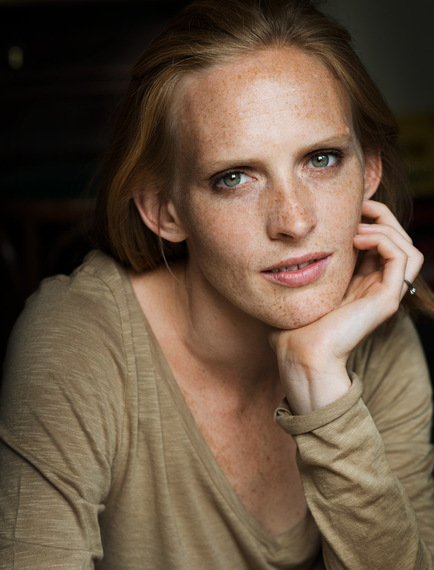 She also consults new arrivals launching a life in Europe's culture capital, Berlin. Know anyone this article would interest? Please share this post and for more conversation, thought, and resources on birth, mobility and the importance of being wild, subscribe to the mailing list over at BIRTHtoBIRTH.com.